Nancy J. (Price) LaFlash, 82, of Worcester went on her heavenly journey Thursday March 29, 2018 surrounded by her loving and devastated family. Nancy was born in Worcester, daughter of the late Milton and Isabelle (Humphries) Price. She graduated from Auburn High School. Nancy was also a proud graduate of Quinsigamond College with a Business Degree. She married the love of her life Ronald L. LaFlash in 1952 and shared many happy years together raising their family and having fun until he suddenly passed away in 1995. She stayed devoted to him until her last breath. Nancy worked as a claims adjuster at Liberty Mutual Insurance until she retired. She then spend many years making customers happy at the former family business Neptune Seafood. Nancy was also a warden for City of Worcester Elections Dept for over 19 years. Nancy was a long time Board member for the South Worcester Neighborhood Center, she gave her time and love so generously to people in need. Our mother was an amazing woman! Every person she met became her newest friend and she had friends, all that met her loved her! Mommy loved her family more than anything in the many world, she could not stand to go one day without seeing someone in the family. We all spoke to her every single day of our lives, if she did not hear from us, she would be on the phone calling us to say hello and say “I Love You”! She was exceptional in many ways, she was forgiving, held no grudges at all, she loved life, she loved people, she loved to dance and she loved cats especially her kitty Pretty Girl”. We will miss her TREMENDOUSLY, the sudden loss of our vibrant vivacious mother filled with life and love has stunned us all and left us hurting in a way we could never have imagined. Thank you Mom for your unending constant love & the happiness you brought into the lives of your family and so many people including strangers! 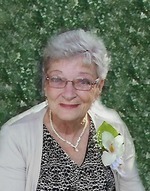 Nancy was a lifelong faithful member of Saint Matthew’s Episcopal Church in Worcester where she was a member of many committee’s and Vestry. Nancy leaves her devoted loving children, Ronald M. LaFlash (Delaney) of Auburn, Nancy J. Pasquale (Joseph) of Sarasota, FL, Joanne C. Beaumier-Smith (James) of Millbury and Christine I. Polland (Clint) of Deltona, FL; two sisters, Barbara Forzley and Jeanne Price both of Auburn; also survived by grandchildren, Ronald LaFlash Jr., Michael Hackett, Joseph A. Pasquale, Adam Pasquale, Anthony Pasquale, Giovanni Pasquale, Richard Beams, Matthew Beams, Christina Wheeler, Leslie Wheeler and Joe Smith. 20 great grandchildren & 2 great great grandchildren. Nancy was predeceased by a sister, Joanne Johnson. Relatives and friends are invited to visit with Nancy’s family on Tuesday April 3, 2018 from 4-7 pm in the BRITTON-WALLACE FUNERAL HOME, 91 Central St, Auburn. Her funeral will be on Wednesday April 4, 2018 at 10 am in Saint Matthews Episcopal Church, 695Southbridge St, Worcester. Burial will follow in Worcester County Memorial Park Paxton. In lieu of flowers memorial donations may be made to Saint Matthews Church, 695 Southbridge Street, Worcester, MA 01603 or to the South Worcester Neighborhood Association, 47 Camp Street, Worcester, MA 01603.